Match ends, SK Rapid Wien 3, Viktoria Plzen 2. Second Half ends, SK Rapid Wien 3, Viktoria Plzen 2. Foul by Michal Duris (Viktoria Plzen). Srdjan Grahovac (SK Rapid Wien) wins a free kick on the left wing. Attempt saved. Jan Holenda (Viktoria Plzen) header from the centre of the box is saved in the centre of the goal. Assisted by David Limbersky with a cross. Foul by Frantisek Rajtoral (Viktoria Plzen). Attempt blocked. Matej Jelic (SK Rapid Wien) left footed shot from outside the box is blocked. Assisted by Mario Pavelic. Attempt missed. Jan Holenda (Viktoria Plzen) header from the centre of the box is high and wide to the right. Assisted by Jan Kovarik with a cross following a set piece situation. Christopher Dibon (SK Rapid Wien) is shown the yellow card for a bad foul. Patrik Hrosovsky (Viktoria Plzen) wins a free kick in the attacking half. Foul by Christopher Dibon (SK Rapid Wien). Foul by Milan Petrzela (Viktoria Plzen). Stefan Stangl (SK Rapid Wien) wins a free kick on the left wing. Foul by Jan Kovarik (Viktoria Plzen). Philipp Huspek (SK Rapid Wien) wins a free kick in the attacking half. Jan Kovarik (Viktoria Plzen) wins a free kick in the defensive half. Foul by Matej Jelic (SK Rapid Wien). Substitution, SK Rapid Wien. Philipp Huspek replaces Louis Schaub. Substitution, Viktoria Plzen. Jan Holenda replaces Ondrej Vanek because of an injury. Attempt blocked. Louis Schaub (SK Rapid Wien) left footed shot from outside the box is blocked. Assisted by Florian Kainz. Louis Schaub (SK Rapid Wien) wins a free kick in the defensive half. Jan Kovarik (Viktoria Plzen) is shown the yellow card for a bad foul. Christopher Dibon (SK Rapid Wien) wins a free kick in the defensive half. Goal! SK Rapid Wien 3, Viktoria Plzen 2. Patrik Hrosovsky (Viktoria Plzen) right footed shot from outside the box to the bottom right corner. Assisted by Daniel Kolár. Attempt missed. Mario Pavelic (SK Rapid Wien) right footed shot from the right side of the six yard box is close, but misses to the right. Assisted by Stefan Schwab. Attempt missed. Stefan Schwab (SK Rapid Wien) left footed shot from the centre of the box misses to the right. Assisted by Stefan Stangl. Corner, SK Rapid Wien. Conceded by Lukas Hejda. Louis Schaub (SK Rapid Wien) wins a free kick on the right wing. Jan Baranek (Viktoria Plzen) wins a free kick in the defensive half. Offside, Viktoria Plzen. David Limbersky tries a through ball, but Michal Duris is caught offside. Substitution, SK Rapid Wien. Matej Jelic replaces Phillipp Prosenik. Goal! SK Rapid Wien 3, Viktoria Plzen 1. Thanos Petsos (SK Rapid Wien) right footed shot from long range on the left to the bottom right corner. Assisted by Stefan Stangl. Foul by Stefan Schwab (SK Rapid Wien). Milan Petrzela (Viktoria Plzen) wins a free kick on the right wing. Substitution, SK Rapid Wien. Srdjan Grahovac replaces Steffen Hofmann. Corner, Viktoria Plzen. Conceded by Maximilian Hofmann. Offside, Viktoria Plzen. Patrik Hrosovsky tries a through ball, but Michal Duris is caught offside. Substitution, Viktoria Plzen. Daniel Kolár replaces Tomas Horava. Substitution, Viktoria Plzen. Milan Petrzela replaces Jan Kopic. Attempt missed. Tomas Horava (Viktoria Plzen) left footed shot from the left side of the box is too high. Assisted by Jan Kovarik. Mario Pavelic (SK Rapid Wien) wins a free kick in the defensive half. Goal! SK Rapid Wien 2, Viktoria Plzen 1. Louis Schaub (SK Rapid Wien) with an attempt from very close range to the centre of the goal. Assisted by Mario Pavelic. Attempt missed. Mario Pavelic (SK Rapid Wien) right footed shot from the right side of the box misses to the left. Attempt missed. Patrik Hrosovsky (Viktoria Plzen) right footed shot from the right side of the box misses to the left. Foul by Mario Pavelic (SK Rapid Wien). Jan Kovarik (Viktoria Plzen) wins a free kick on the left wing. Offside, Viktoria Plzen. David Limbersky tries a through ball, but Jan Kovarik is caught offside. Steffen Hofmann (SK Rapid Wien) wins a free kick in the defensive half. Foul by Steffen Hofmann (SK Rapid Wien). Ondrej Vanek (Viktoria Plzen) wins a free kick in the defensive half. Foul by Thanos Petsos (SK Rapid Wien). Tomas Horava (Viktoria Plzen) wins a free kick on the right wing. Second Half begins SK Rapid Wien 1, Viktoria Plzen 1. First Half ends, SK Rapid Wien 1, Viktoria Plzen 1. Jan Novota (SK Rapid Wien) wins a free kick in the defensive half. Attempt saved. Lukas Hejda (Viktoria Plzen) header from the centre of the box is saved in the centre of the goal. Assisted by Jan Kovarik with a cross. Foul by Phillipp Prosenik (SK Rapid Wien). Tomas Horava (Viktoria Plzen) wins a free kick in the defensive half. Corner, SK Rapid Wien. Conceded by Jan Baranek. Phillipp Prosenik (SK Rapid Wien) wins a free kick in the defensive half. Foul by Ondrej Vanek (Viktoria Plzen). Attempt saved. Michal Duris (Viktoria Plzen) left footed shot from the centre of the box is saved in the centre of the goal. Assisted by David Limbersky. Goal! 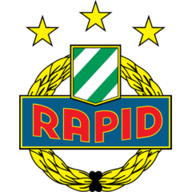 SK Rapid Wien 1, Viktoria Plzen 1. Steffen Hofmann (SK Rapid Wien) right footed shot from outside the box to the bottom left corner. Assisted by Florian Kainz following a corner. Corner, SK Rapid Wien. Conceded by Matús Kozácik. Attempt missed. Thanos Petsos (SK Rapid Wien) right footed shot from the left side of the box is close, but misses to the right. Assisted by Florian Kainz. Stefan Stangl (SK Rapid Wien) wins a free kick in the defensive half. Attempt missed. Louis Schaub (SK Rapid Wien) left footed shot from outside the box is close, but misses the top right corner. Assisted by Stefan Stangl. Stefan Schwab (SK Rapid Wien) wins a free kick in the defensive half. Attempt missed. Steffen Hofmann (SK Rapid Wien) right footed shot from outside the box is high and wide to the right. Assisted by Phillipp Prosenik. Attempt missed. Thanos Petsos (SK Rapid Wien) right footed shot from outside the box is high and wide to the right. Assisted by Stefan Stangl with a headed pass. Attempt blocked. Steffen Hofmann (SK Rapid Wien) left footed shot from the centre of the box is blocked. Attempt saved. Stefan Stangl (SK Rapid Wien) left footed shot from the left side of the box is saved in the centre of the goal. Assisted by Florian Kainz. Corner, SK Rapid Wien. Conceded by Jan Kopic. Goal! SK Rapid Wien 0, Viktoria Plzen 1. Michal Duris (Viktoria Plzen) right footed shot from the centre of the box to the centre of the goal. Assisted by Jan Kovarik with a cross. Attempt saved. Stefan Stangl (SK Rapid Wien) left footed shot from outside the box is saved in the centre of the goal. Assisted by Stefan Schwab. Louis Schaub (SK Rapid Wien) wins a free kick in the attacking half. Foul by Patrik Hrosovsky (Viktoria Plzen). Phillipp Prosenik (SK Rapid Wien) wins a free kick in the attacking half. Offside, SK Rapid Wien. Phillipp Prosenik tries a through ball, but Florian Kainz is caught offside. Offside, SK Rapid Wien. Maximilian Hofmann tries a through ball, but Stefan Schwab is caught offside.